We had the pleasure of working with the Glen Eden on the Lakes homeowner’s association recently, and last week we launched their new website packed with useful functionality and tools for their residents to enjoy. The board members at Glen Eden searched Naples website designers and Fort Myers website designers , and after seeing our work on the Greater Naples YMCA website, decided Brian Joseph Studios was the right website design company for them. As with all homeowner’s associations, it is important to consistently provide updated information about the community, from board meeting minutes to statements, reports and budgets. We worked with some of the board members to configure a premium WordPress web design theme to not only match the branding of the community, but to provide residents with a useful community portal and source for information. 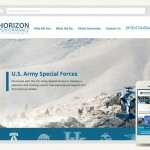 The WordPress theme also takes advantage of responsive web design techniques to present a user-friendly experience to website visitors using mobile devices. 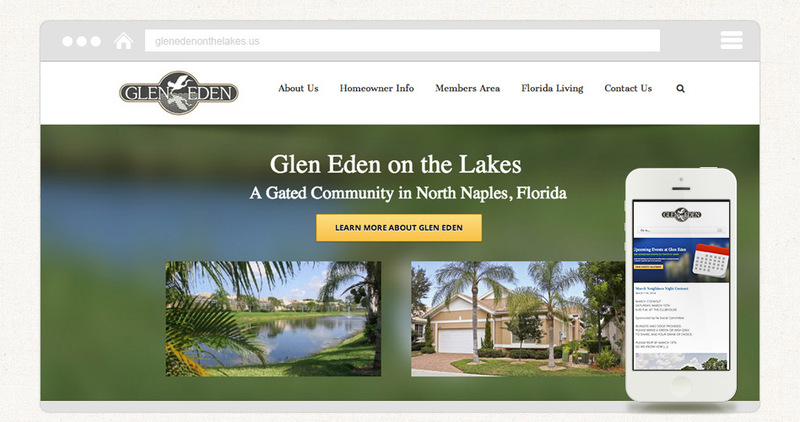 Glen Eden members have their own private area on the website with access to newsletters, budgets and more, and we developed tools to allow the Glen Eden board to quickly and easily add/edit/delete any information on the website. Our client is already taking the reigns on managing the website and updating it with great information for the Glen Eden residents and we’re looking forward to see how they continue to grow the website!